Custom hand painted headstall and breast collar western tack sets! Every set is made to order. We can customize anything you want. In pictures shown are a couple of our most popular designs and color combos, if you like any of these we can custom make to match or change anything you'd like. Painted tack holds up very well to riding and elements - we have a special process to make sure of it. Does not chip or fade. 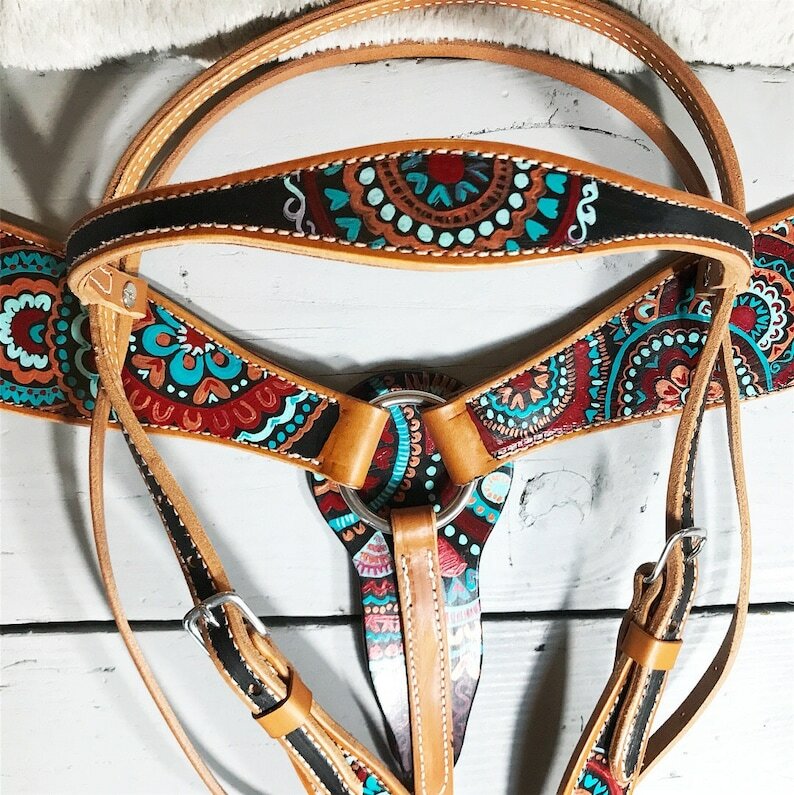 Sets is adjustable and fits a normal size quarter horse perfectly - great for barrel racing, mounted shooting, gaming, 4H and trail riding! You will not find anything else like these sets! If you are looking for something unique you've found the right place. All items from Kahli’s Creations are made from the high quality products with love. We are animal people ourselves and love to create one of a kind items for our four legged friends. Check out our website, www.kahliscreations.com, for more and be sure to follow us on Facebook and Instagram. Love it can't wait for Christmas! Beautiful, great price, fast shipping! Shipments will be sent as soon as payment is received.